Volleyball season is in full effect, and the varsity team hit the court running. 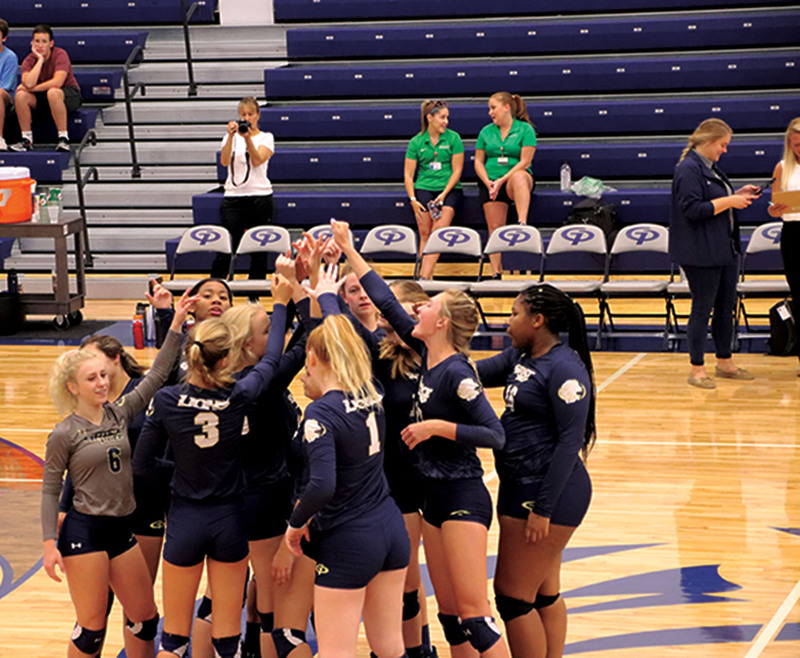 They started their district season with a sweep over their rivals Pantego Christian Academy after seven undefeated games and four tournaments. The #1-ranked TAPPS volleyball team has an overall record of 43-6-1. This includes two first-place trophies by winning the Granbury tournament, and the Arlington Showcase, these tournaments featured many big 6A schools that our lady lions defeated on their way to winning first place. 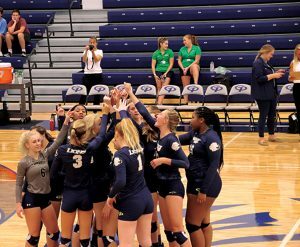 Junior Sage Post, the utility player said, “the team goal for the season is to win state.” The volleyball girls are more motivated than ever before to win state this year after losing in the second round of the TAPPS 4A state playoffs last year. One of the dynamic duos on the team is Senior Molly Davis, and sister Sophomore Bonnie Davis. According to Star Telegram article by Brian Gosset. https://www.star-telegram.com/sports/dfwvarsity/prep-volleyball/article214691255.html Bonnie Davis said, “We have a great relationship on and off the court.” This relationship contributes to the success and overall energy the team possesses. The volleyball team prides themselves on their defense and making each and every point difficult for their opponent. “The thing we spend the most time on in practice is defense,” said Junior Ashley Ealy. You can expect to see some low scores for the opponent at the next Grace Prep volleyball game you attend. The team has a lot of firepower up front with Senior Claire Bullington, Molly Davis, and Post providing the offense. In the back creating the defensive strength is Senior Katie Flood and Bonnie Davis. The Grace Prep volleyball team is looking better than ever while getting off to one of their best starts. Look out for the lady lions as they make their way to state! Written by: Andre Nunley on 24 September, 2018.